Tickets track communication between individuals, but oftentimes, your companyâ€™s real client is another company (or organization). Customers can be grouped into organizations to monitor their activity as a whole. 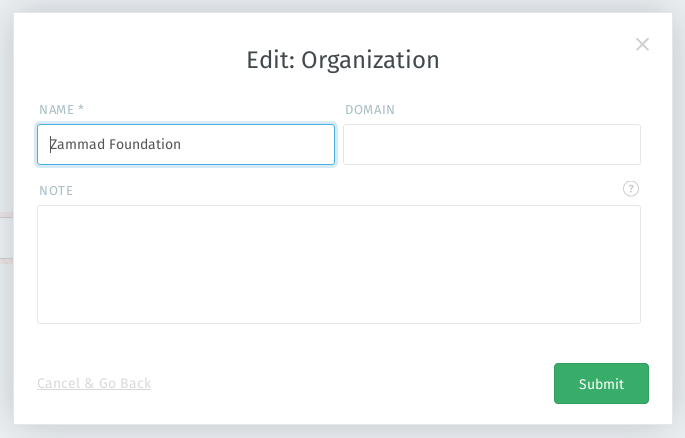 Use the ticket pane to manage organization profiles. Click the ðŸ‘ª tab in the ticket pane to see the organizationâ€™s profile. Click the Organization â–¾ heading to access additional actions. Click the ðŸ�¢ button in the ticket pane to see a detailed breakdown of the organizationâ€™s stats.